If I am looking for a new doctor or dentist, I usually ask my friends for suggestions. It’s rare for me to go out and actively look for one. If a trusted friend tells me that they love a certain doctor or dentist, I tend to go with their advice. 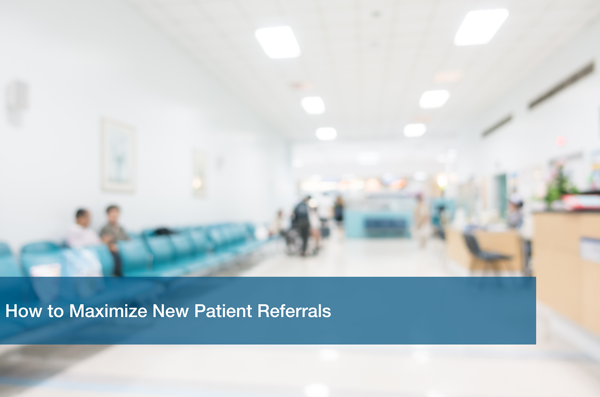 A lot of new patients will come from patient referrals. Most offices even have a section in their paperwork that has you list who referred you to their office. Doctors should take advantage of the fact that their customers are acting as their own form of free marketing. Our previous post talked about 4 Apps that Can Improve the Doctor-Patient Experience. These apps help you connect with your patients by offering excellent features. The easiest way to get new patients is to ask your current ones to suggest your office to their family and friends. Offer incentives like “Refer a friend for a special discount off your next visit!”. As mentioned above, a lot of people already ask their friends for doctor suggestions. You can take advantage of that already established doctor-patient relationship. Your patients already know how your office operates. You have already built that trust. Now you can use that trust to get new patients through them. It doesn’t take much. You can even include a “How did you hear about us?” question on your forms to see how people are hearing about you. One great way to get the attention of potential patients is to hold an event with a nonprofit organization. Offer free flu shots for the incoming school year. Work with a women’s shelter and offer discounted or free general health exams. Getting more people to swing by is a great way to establish long lasting relationships. Friends have told me that they’ve seen the same doctor for years. Then when they have kids they start taking them there as well. Giving a caring first impression is key to building a good doctor-patient relationship. Don’t get lost in trying to be as professional as possible. Show a little personality. I know I feel more comfortable walking into a dentist office that has some color to it. Beautiful paintings and the right wall color can really sway a person’s opinion. If your office is geared towards a certain demographic, then incorporate that into your marketing. Pediatric offices have vibrant colors and plenty of kid-friendly cartoons on their website. You want people to feel comfortable coming to you for their healthcare needs. Establishing a good doctor-patient relationship is an important way to maximize your referrals. You want your current patients to feel comfortable suggesting your office to their friends and family. They know that your office will take good care of them. You have shown them that. Joining together with local nonprofits will look really good for your business. It also helps out the community in a great way. That’s a win win for everyone! Here at ITC we help businesses maintain relationships with their clients by offering top of the line IT support. We want to make sure that the technology is there to help you maximize your efforts for acquiring new patients. Download our Free IT Checklist today to get started.